Hi! This will be my first post. I'm very excited to share my view of fashion with you. Yesterday i went to Haarlem, a city near Amsterdam. I was looking for some sneakers but i couldn't find the perfect pair. I dont actually wear sneakers often but i need them for work cause my feet are sore after a day at work! I walked past a hairdresser and girls there were having a break. One of the girls stoped me by and asked me where i bought the jacket im wearing, i said it was vintage piece and i bought it in a shop called Cheap Fashion which is located in Rotterdam. The other girl asked me if i was interested to go to a vintage party. I said to her that i was interested and i'll maby make it to the party. 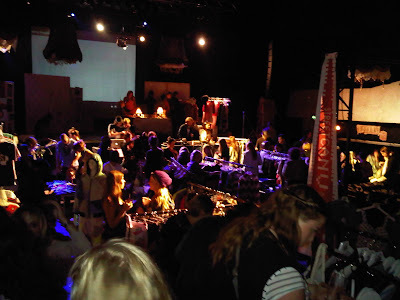 I went home and looked on the website, it was a vintage market from 9 till 11 and after the market there was a party with many dj's! When i arrived there i didn't expect much about it, but when i was inside it was amazing! The vibe, the clothes everything was perfect! I bought many things and i'll post the pictures later!